The cornerstone to any good diet is fresh ingredients to make delicious and nutritious meals, and the important thing is to get them from a trusted source where you can not only get more bang for your buck, but also answers to any questions you my have. When it comes to being vegan, many people don’t just stop at cruelty-free, they also strive for organic, fresh, sustainable and natural foods preferably from local sources. 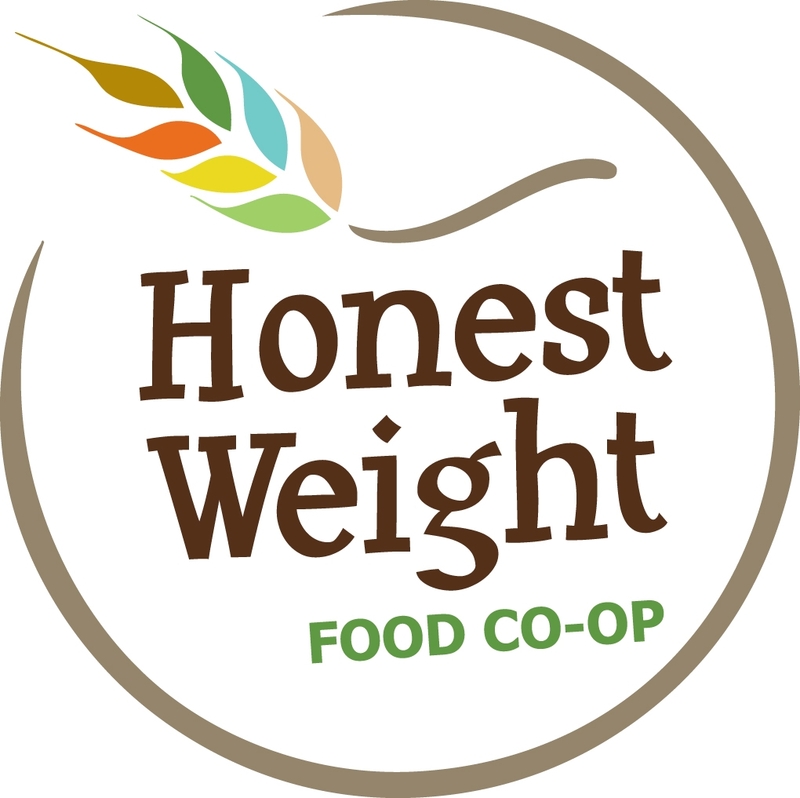 It can be very difficult to find such foods at your run of the mill grocer, and that’s why I’d like to introduce you to the Honest Weight Food Co-op. The Co-op is located at 484 Central Ave in Albany behind the Family Dollar. They provide the community with a place to buy organic, sustainable and locally acquired food and household products to help you live a healthy lifestyle. They have a vast bulk department where you can get grains, nuts, spices, baking ingredients, candy and cereal. The back of the Co-op is where you can find natural pet food, cleaning supplies, makeup, home remedies, toiletries, supplements, teas and much more. There’s an entire section of organic meats and cheeses, and a grocery section that has healthier alternatives to many daily meal options. Maybe the coolest part of the Co-op, and the reason I’m stoked to fill you in, is the deli. They not only make sandwiches, fresh juice drinks and baked goods; they have a large selection of grab and go meal options that are fresh, healthy, delicious, and usually vegan! The cooler is filled with sandwiches and fresh salads that include garden, black bean, quinoa, tabouli, and much more. Across the way is the “hot food”, which includes all different types of soups and an assortment of fresh made breakfast or lunch foods that you just scoop into a container and take with you. There’s usually a rice dish, some fake meat, a bean dish, but it always varies and is made with food straight from the shelves which means it’s scrumptious and ready to eat. Next to the hot food is a display case filled with a variation of baked goods including cornbread, muffins, cupcakes, breads, and whatever else they may have decided to whip up for us. They’re very well labeled; if there are any eggs or milk in the ingredients, it’s easy to spot, and most of the vegan food is specifically labeled. There’s also a rack of candy and desserts right next to the cooler, so clearly if you can get away for lunch or you need a quick meal and you want an array of vegan options, the Honest Weight Food Co-op is a great place to stop and grab some delicious and nutritious vegan food! When you check out, the cashier will probably ask if you are a member. If you’re not, it may be a good idea to look into it. For a share and some volunteer work, you will get a sizable discount on groceries! They’re truly a wonderful place with great products in a friendly atmosphere. Stop in and support them while filling your belly with some of the freshest food in town! 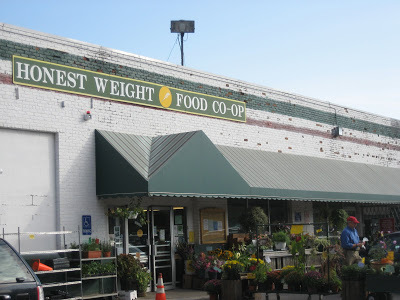 Add the Honest Weight Food Co-op on Facebook for daily updates on their hot foods, or check them out at www.hwfc.com for more info. This entry was posted in Venue Reviews and tagged albany ny, honest weight food co-op, organic food, organic meats, she breathes, sustainable food, vegan lunch. Bookmark the permalink.